Lancershop is always my first stop for parts on my evo 8 and now my evo 9, they're always on top of my orders and thats something i look for when ordering parts , they will always have my business. What we have here is a rare gem! 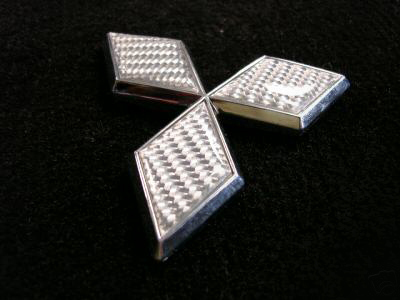 This Silver carbon fiber Mitsubishi diamond emblem will fit perfect on the back trunk lid of your EVO. 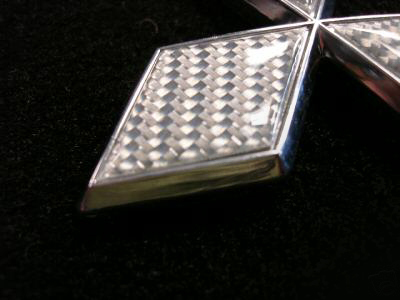 Simply remove your old stock chrome diamond (it pulls right off) and replace it with this tricked out carbon fiber diamond. TECH TIP: Includes 3m adhesive on the back for an easy installation, it simply sticks anywhere.